The Canon EOS 7D Digital SLR camera, available at 42nd Street Photo, is an ideal choice for professional photographers and amateurs looking for improved performance and more functionality from their DSLR camera.The Canon EOS 7D DSLR shootsat a speedy eight frames per second (fps), focusing with the new Zone AF mode or recording 24p Full HD video capture at 1920 x 1080 resolution. Whether you are shooting still photos or video,you have the right camera to capture a low-light sunset wedding without a flash or a fast moving tennis match. The EOS 7D DSLR camera’s3.0-inch Clear View II LCD screen has an impressive 920,000 dot/VGA resolution for unparalleled clarity and color– framing your shot is easier than ever. The Canon EOS 7D offers the latest in wireless connectivity so you can take your best shot from across the room or halfway around the world, all the while controlling camera settings on your laptop or phone. The EOS 7D’s 19-point Autofocus system, iFCL Metering System (Intelligent Focus, Color, Luminance) is a favorite of shutterbugs along with the Intelligent Viewfinder that providescrystal clear displays of multiple focusing points and zones, on-demand grid lines and a spot metering circle. Compatible with more than 60 Canon EF and EF-S lenses, the EOS 7D makes the most of Canon’s advanced technology, the Dual DIGIC 4 Imaging Processors and a large APS-C-sized CMOS sensor, combine to create spectacular color reproduction, even down to the smallest detail. The Canon EOS 7D offers three state of the art video recording options – Full HD and HD in a 16:9 aspect ratio and Standard Definition (SD) in a 4:3 aspect ratio, all at selectable frame rates. One of the most impressive features of the EOS 7D is the ergonomic body design that fits comfortable in the palm of your hand. The camera has a new Quick Control Button, opening an intuitive menu on the camera’s LCD screen where you can adjust any of the dozens of available camera settings. Another great feature available with the EOS 7D is the RAW/JPEG toggle button providing quick dual-format shooting, and easy upload afterwards. 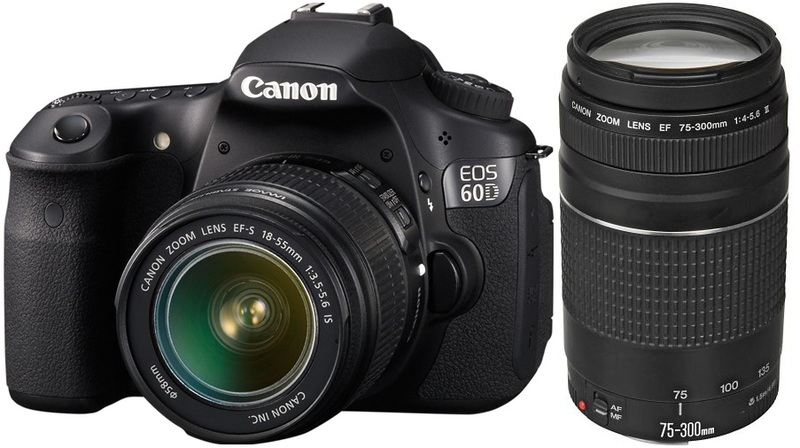 The Canon EOS 7D Digital SLR camera is currently on sale at 42nd Street Photo.